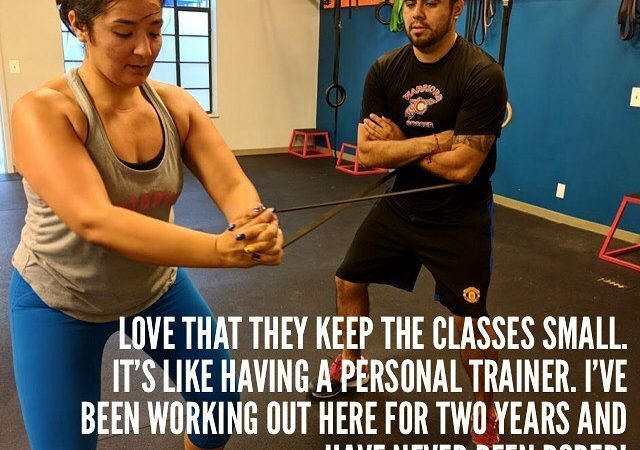 She now CRUSHES every workout she shows up to, and is the woman you “chase” if you’re feeling competitive. She has really blossomed into an amazing athlete (she’s a jammer for the Brawlin’ Betties Roller Derby team which requires a LOT of endurance and strength), and has gone out of her comfort zone to try new things, and learn from her mistakes. She’s an exceptional athlete, and will likely make you blush in class with some of her “colorful” jokes and comebacks.